A dry run of mid-air refuelling of Tejas fighter jet by an Indian Air Force aircraft was successfully conducted, a defence source said Tuesday. The test conducted involved a dry linkup, meaning no fuel was actually transferred between Indian Air Force Il-78 tanker and Tejas fighter jet through its air-to-air refuelling probe, the source told PTI here. Nine more tests will be held which would also include wet tests where the actual transfer of fuel takes place from the tanker to the fighter, the source added. 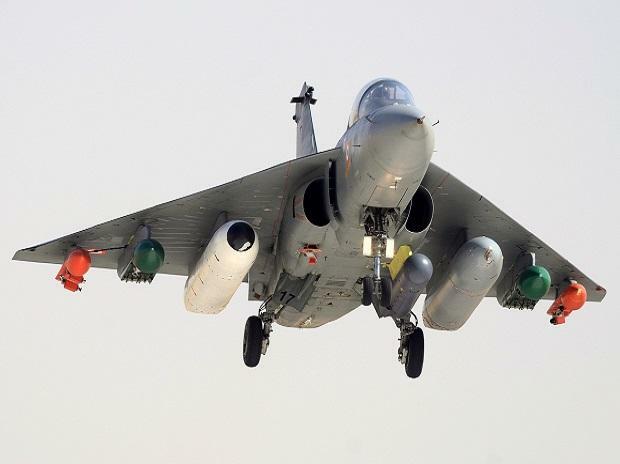 India's indigenously built light combat aircraft Tejas, the smallest and lightest multi-role supersonic fighter aircraft in its class, had commenced operations from the Sulur Air Force Station in Tamil Nadu on July 2, two years after its induction into the Indian Air Force. The fighter jet, part of the 'Flying Daggers' of the 45 Squadron, was formally operationalised at a ceremony attended by Air Officer Commanding-in-Chief (Southern Air Command) RKS Bhadauria. Designed by the Aeronautical Development Agency (ADA) and manufactured by Hindustan Aeronautics Limited (HAL), the single-engine, tailless aircraft would cater to the diverse needs of the Indian Air Force (IAF) and the Indian Navy. The Southern Air Command based in Kerala capital Thiruvananthapuram has been entrusted with the responsibility of integrating the fighter aircraft, equipped with a satellite-aided Inertial Navigation System, in the Air Force's concept of operations.